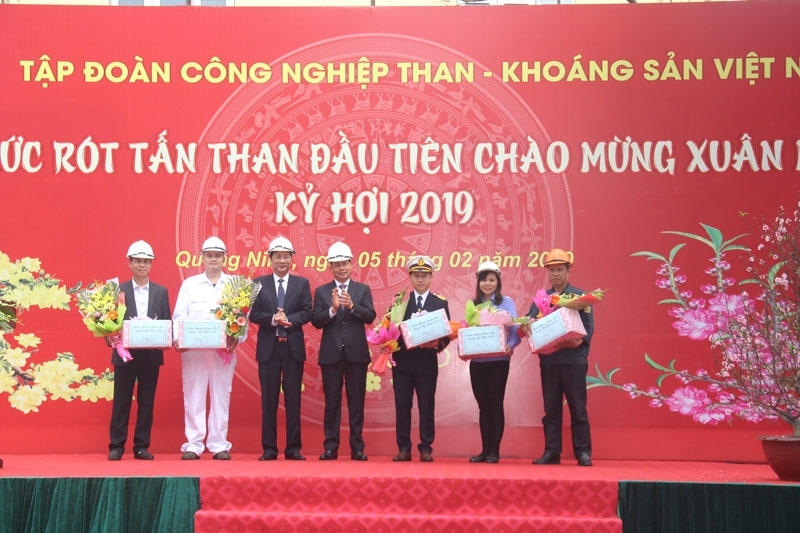 The Vietnam National Coal-Mineral Industries Holding Corp., Ltd. (Vinacomin) loaded its first tonnes of coal onto the Viet Thuan Sky ship at Cam Pha port in the northern province of Quang Ninh on February 5 (the first day of the Lunar NewYear). According to a sealed contract, the vessel received 40,300 tonnes of coal dust, which will be delivered to the Vinh Tan 1 thermal power plant in the south central coastal province of Binh Thuan. Vinacomin said it sold over 4 million tonnes of coal in January 2019, the highest ever recorded in a month. So far this year, its subsidiaries - the Cam Pha Port & Logistics Company and Cua Ong Coal Sorting Company - handled more than 3 million tonnes of coal for shipments at the port. Last year, the group produced 36.95 million tonnes of coal and sold 40.5 million tonnes. This year’s figures are set to reach 40 and 42 million tonnes, respectively.